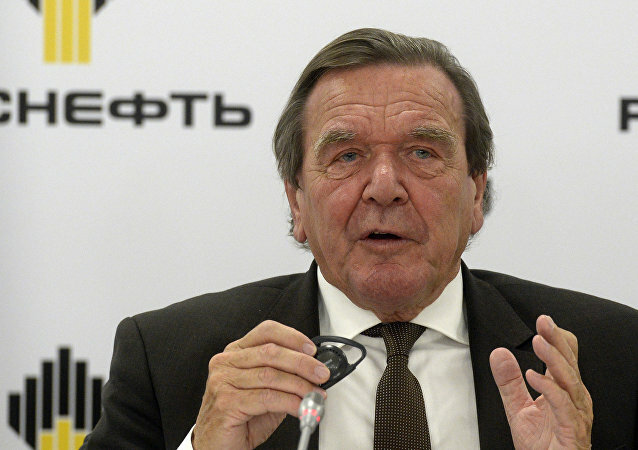 Former German Chancellor Gerhard Schroeder has lashed out at the US for its position on the Nord Stream 2 gas pipeline. 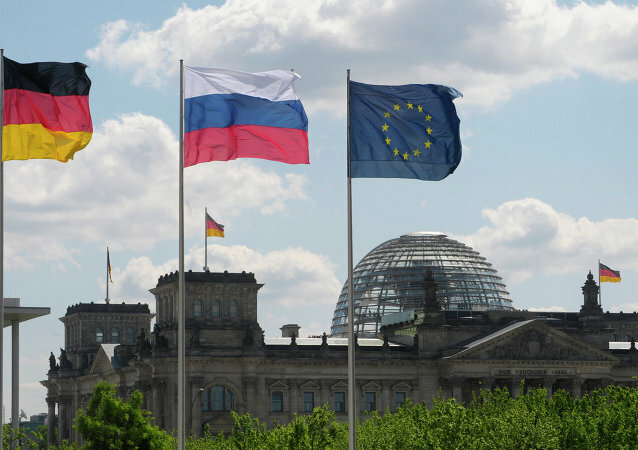 MOSCOW (Sputnik) – The German Court of Auditors criticized the practice of lifetime financial support for former chancellors, Bild reported on Thursday. When asked to comment on the rumors, the Kremlin spokesman stated that Putin had no such plans and hasn't discussed the possibility yet. 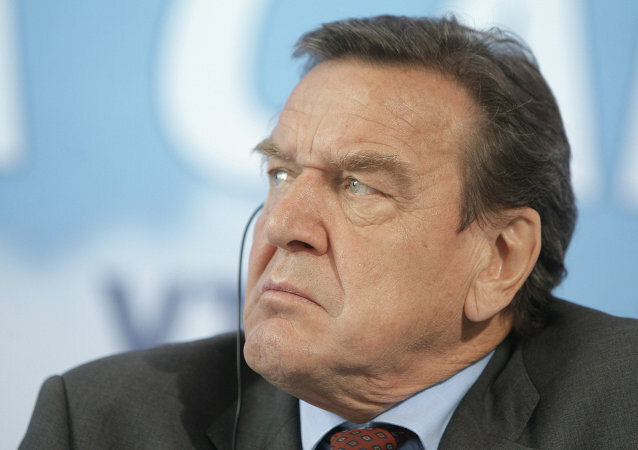 Earlier this year, 74-year-old former German Chancellor Gerhard Schroeder and 48-year-old South Korean interpreter Kim So-yeon announced plans to get married. 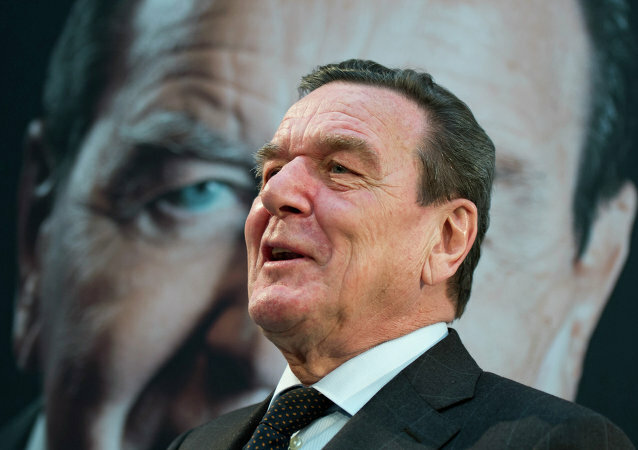 Former German Chancellor Gerhard Schroeder visited South Korea during the first days of the Winter Olympic Games in Pyeongchang. 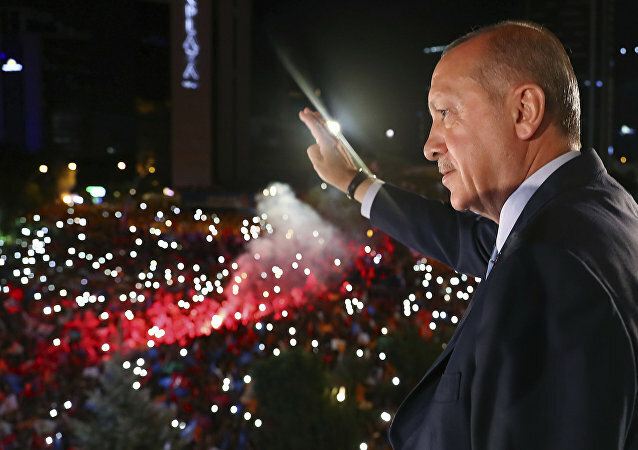 After his trip, the politician confessed that he was annoyed by US Vice President Mike Pence's behavior. Here's why. 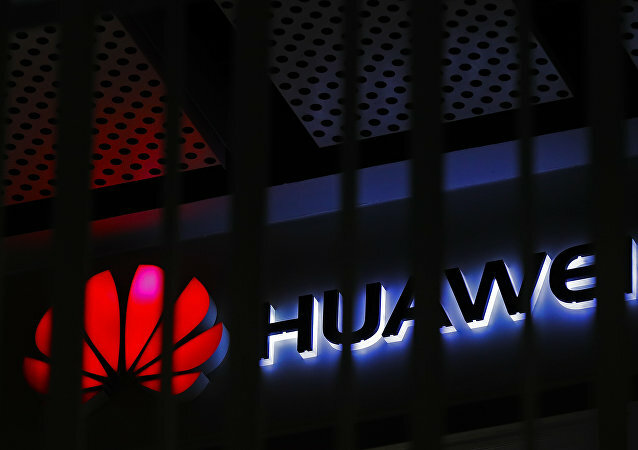 While the couple revealed earlier in the week that their relationship were serious, the 73-year old former German leader uses every opportunity to learn more about his fiancée's culture. 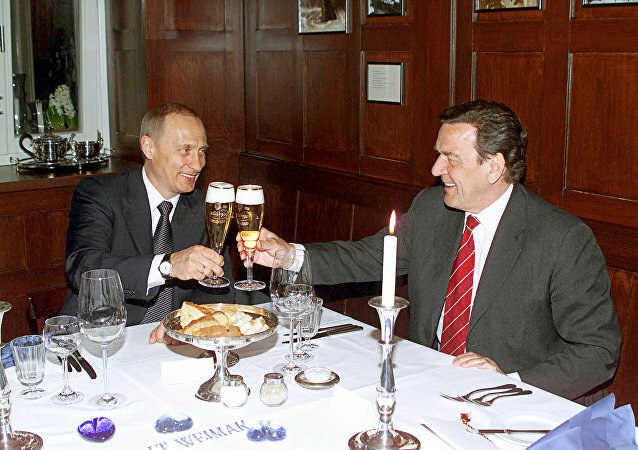 MOSCOW (Sputnik) - Former German Chancellor Gerhard Schroeder, who is also the chairman of the Nord Stream AG Shareholders’ Committee, said Friday that he did not fear for the future of the Nord Stream 2 project amid the problems with governmental coalition formation in Germany. 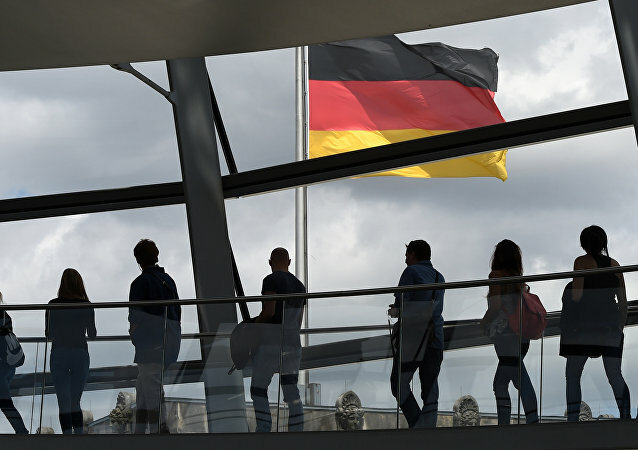 The former German Chancellor, who has recently become a board member of the Russian oil giant Rosneft amid harsh criticism from Angela Merkel, has outlined his views on the ties between Russia and its partners while speaking at the 10th Eurasian Economic Forum on Thursday. 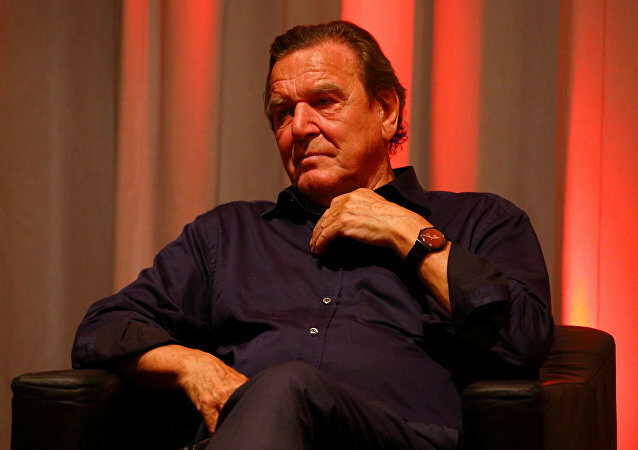 Ex-wife of former German Chancellor Gerhard Schroeder, Doris Schroeder-Koepf, who is running as a candidate from the Social Democratic Party (SPD) for the parliament in Lower Saxony, in an interview with Sputnik called the ties between Germany and Russia "unbreakable" and criticized incumbent Chancellor Angela Merkel for failing to maintain them. 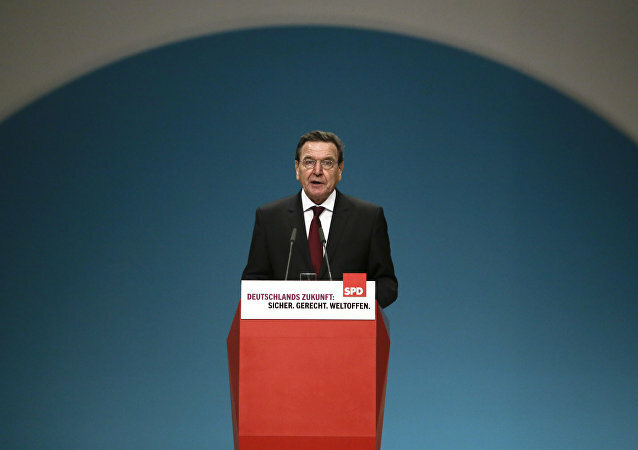 During the election debates, broadcast by ARD, German Chancellor Merkel and Chief of the German Social Democratic Party Schulz criticized the decision of former Chancellor Gerhard Schroeder to work for Russian oil giant Rosneft.